Drastically reducing nutrient discharges from wastewater treatment plants won’t be enough to further improve water quality in the Great Miami River from Troy to just downstream of Fairfield, Ohio. That’s what a study, funded by 15 regional wastewater treatment plants and cities, showed. Excessive nutrients in water (nitrogen and phosphorus) fuel excessive growth of algae and are a leading cause of impairment to biological communities in rivers and streams. Nutrients above natural levels in rivers and streams come from human sources, primarily agricultural fertilizers and municipal sewage. The Miami Conservancy District (MCD) and the 15 partners chose LimnoTech, an environmental science and engineering firm headquartered in Ann Arbor, Michigan to complete the study. The company developed a water quality model and ran scenarios to look for potential improvement to river quality, specifically from decreased phosphorus discharges. The model relied on many sources of data including water-quality data collected by MCD’s hydrology team. In addition, the model incorporated a Hydrologic Simulation Program — FORTRAN (HSPF) model, developed by the United States Geological Survey and MCD, to simulate tributary watershed flows. LimnoTech’s modeling study suggests that technology upgrades to 13 municipal wastewater treatment plants would reduce phosphorus levels in the Great Miami River downstream of Troy. But the improvements wouldn’t be enough to stop excessive algal growth which can cause large swings in oxygen levels and threaten aquatic life in the river. An algae bloom at Island Park low dam in Dayton during the summer of 2012. Another important finding of the study is that no dissolved oxygen measurement collected at a single point in the river is representative of the entire river channel. There is wide variability across the channel and at different upstream and downstream places. Therefore, no single point measurement should be relied on to determine overall river health or to set water quality goals. Excessive algal growth negatively affects the river’s health. Even when the model simulates drastic reductions from wastewater treatment plants, algal levels in the river remain too high to show significant improvement. The study results don’t point to a realistic, cost-effective solution to improve the river. It appears there’s no silver bullet, no single step that will fix the problem. It’s likely some combination of reductions in nutrients from agricultural fertilizers and wastewater treatment plants will be necessary to resolve excessive growth of algae in the Great Miami River and reduce nutrient loads delivered downstream to the Ohio River and ultimately the Gulf of Mexico. MCD is working with Limnotech to further the research to determine the amount of phosphorus and nitrogen reductions necessary to reduce algal communities in the Great Miami River. MCD facilitated the study, and provided technical support and water quality data. The partnership also included: the cities of Dayton, Englewood, Fairfield, Franklin, Hamilton, Miamisburg, Middletown, Springboro, Troy, Union, and West Carrollton; Tri-Cities Wastewater Authority on behalf of the cities of Huber Heights, Vandalia, and Tipp City; and Montgomery County. Read the entire study. If you have any questions, please contact me. You may have heard me say this before—southwest Ohio is water rich. We have abundant, high-quality, water when compared with other parts of our country and the world. Yet, our region is not without challenges in managing water. Here are five water trends that may pose challenges to our community leaders for the foreseeable future. Our region is getting wetter. Mean annual precipitation and runoff (the amount of water that drains off land) in the region are trending up. In the 1960s, mean annual precipitation was around 37 inches per year. Today, mean annual precipitation is a little over 41 inches. That‘s an increase of about 4 inches per year. Not surprisingly, mean annual runoff shows a similar trend. These trends are good news and bad news at the same time. The good news from a water quantity perspective is our region isn’t likely to experience any long-term water shortages given current water uses. 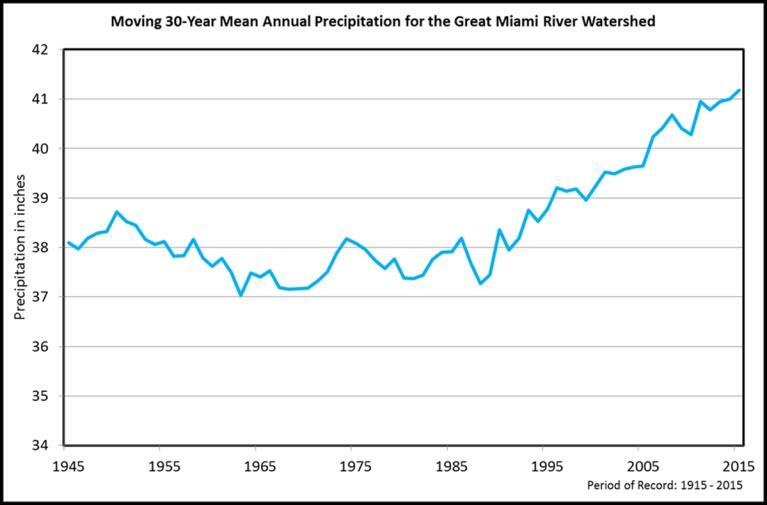 The bad news is our region could experience more frequent flooding outside of areas protected by The Miami Conservancy District (MCD). One thing that’s clear is communities will likely deal with more frequent and intense rain events in the future. The decline in water use is a result of several factors, including more water-efficient plumbing fixtures, increased efficiencies in industrial water use, a regional decline in manufacturing, and the closure of the DP&L Hutchings Station power plant. Declining water use poses a challenge for many local water utilities struggling to maintain sufficient revenues to deal with rising infrastructure costs. In the past, water systems often made their financial projections based upon an assumption of rising water demand. This assumption is no longer valid. And yet, public water system infrastructure must be maintained if we want to have safe drinking water. Some water utilities may need to restructure rates to ensure sufficient revenues. Nitrogen and phosphorus levels in many area rivers and streams are too high and affect aquatic life. The most common sources of nitrogen and phosphorus are agricultural fertilizers and human sewage. When nitrogen and phosphorus are present in water at high levels, they fuel excessive algal growth in the rivers where we like to recreate. Recent algal blooms in other parts of the US have been toxic. Agricultural leaders and communities that manage water-reclamation facilities are working to find a solution that cost-effectively reduces nutrients in our rivers and streams. 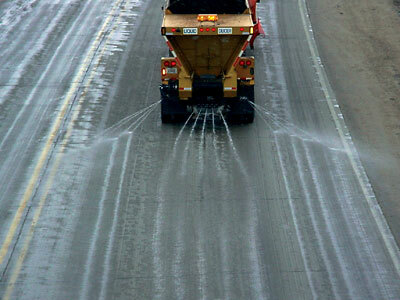 Deicing agents such as road salt and brine can increase chloride in streams and rivers. Applications of road salt and nitrogen fertilizers are perhaps the two most prolific sources of man-made contaminants to aquifers. Elevated levels of chloride from road salt—and elevated levels of nitrate from fertilizers or failing septic systems—are present in regional aquifers. That’s what groundwater data collected by the United States Geological Survey, the Ohio Environmental Protection Agency (Ohio EPA), and MCD show. The take-home message is better methods for applying road deicing agents and agricultural fertilizers are needed in areas where regional aquifers are vulnerable to contaminants. Do we know where these vulnerable aquifer areas are? We have a good start. Every public water system in Ohio that relies on groundwater has a defined source water protection area. A source water protection area is a map of all the aquifer areas which provide drinking water to a particular public water system. Those maps can be shared with farmers and road maintenance departments. It may be possible to reduce use or find better methods to apply fertilizers and road salt in these sensitive areas. Modified stream channels have poor habitat and water quality. Channelizing or straightening a stream channel. Removing the natural vegetation from a streambank. Increasing the impervious surface area that drains into a stream. Developing in a stream’s floodplain. All of the activities listed above disrupt a stream’s natural habitat, which can affect water quality in the places many of us like to recreate. They also create other problems, such as soil erosion and flooding, which can lead to costly clean-up and restoration. Solutions to the problem typically seek to preserve as much of the stream channel in its natural state as possible. Streamside setbacks, conservation easements, and low- impact development practices are tools that can minimize destruction of rivers and streams. All of these water challenges can be overcome. The know-how already exists. The key is you and me. Most of these water challenges are the direct or indirect result of how we live our lives—the neighborhoods we build, the services we demand, and the value we place on having clean water. The solutions will require different ways of thinking and different approaches to the way in which our region develops land. Agricultural practices for fertilizers and stream conservation will have to improve. New investments in water reclamation technologies may be needed, and perhaps changes to water rates. Are we ready to embrace those changes? Advocate for federal investment in water infrastructure upgrades. Include water management in short- and long-range community planning. Keep water protection at the top of your community’s priorities. Write local policies that protect water. Although water quality in our rivers and streams has seen great improvements over the past few decades, about 40 percent still fail to meet water quality standards. Excess nutrients – nitrogen and phosphorus — are a main cause. This failure is triggering additional regulations focused on wastewater treatment plants that could lead to rising costs for consumers like you and me. More than 70 percent of the land that drains to the Great Miami River is used for agriculture, so the majority of nutrient-related water quality challenges relate to farming practices. Agricultural producers have worked diligently to implement conservation practices but financial incentives at the federal, state and local levels don’t match the demand. So a partnership among MCD and federal, state and local partners began in 2004 to find a better way to improve water quality at a lower cost. 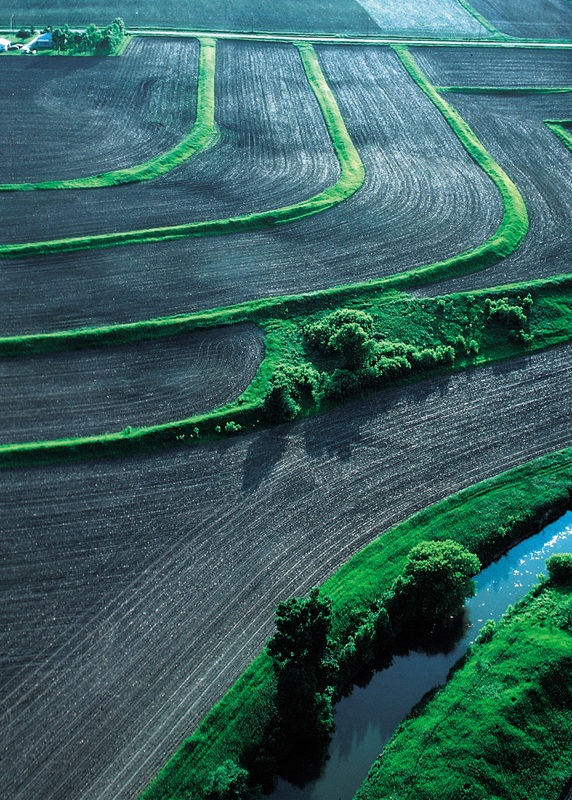 The result was a market-based Trading Program that reduces nutrients in streams and rivers as an alternative to traditional regulatory strategies. Farmers are paid to plant cover crops, install streamside buffer zones, and manage fertilizer application and manure storage to keep nitrogen and phosphorus from running off land into rivers and streams. More than $3 million in funding for this pilot program came from wastewater treatment plants, the Ohio Department of Natural Resources, the U.S. Department of Agriculture, and the U.S. Environmental Protection Agency. 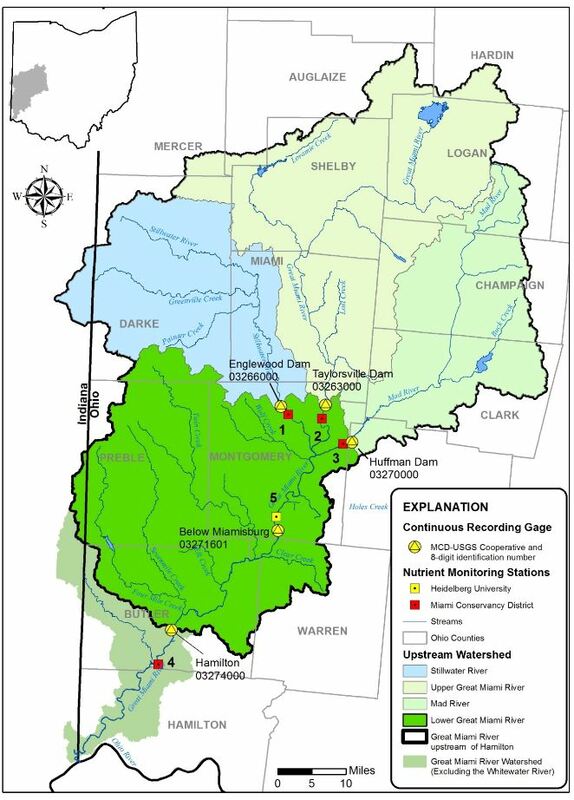 The Miami Conservancy District manages the Trading Program, conducts extensive monitoring and publishes reports on levels of nutrients in the Great Miami River to track program results over time. The success of the program has drawn international attention. Cover crops help reduce nutrient runoff. An extensive economic and market analysis was completed before the pilot began to understand the costs and benefits. The analysis estimated that wastewater treatment plant upgrades could cost $422.5 million for the communities in our region – costs that could be passed on to customers. The costs for agricultural conservation practices to achieve a similar level of nutrient reduction were projected at only $37.8 million, a potential $384.7 million savings compared to wastewater treatment plant upgrades. It was estimated that on average, wastewater plants would pay $23.37 to reduce one pound of phosphorus using technology upgrades at the plant compared to $1.08 using agriculture conservation practices. For nitrogen, wastewater costs were $4.72/pound compared to $0.45/pound for agriculture. The analysis concluded that water quality trading in the Great Miami River Watershed has the potential to provide significant cost savings with increased environmental benefit when compared to traditional regulatory approaches. As of March 2015, 467 agricultural projects have been installed, with farmers receiving $1.76 million to implement them. These projects are expected to reduce 626 tons of nutrient discharges to rivers and streams and achieve other benefits, including more sustainable farming operations and additional environmental improvement. Originally expected in 2005, the additional regulations on wastewater treatment plants are not yet in place but are anticipated. As the Trading Program moves from pilot to implementation, a group of 14 soil and water conservation districts in southwest Ohio recently formed a joint board and are taking steps to assume management of the program. Pollution shut down Toledo’s drinking water system – could it happen here? Last year, pollution in Lake Erie halted Toledo’s delivery of its drinking water to 400,000 people for several days. It happened when water that Toledo pulls from the lake was found to have dangerously high levels of microcystin, a toxin that is produced by algae. Microcystin is highly toxic to the livers of humans and animals. When nutrients – nitrogen and phosphorus – are overabundant in lakes and river, the levels of toxin-producing algae may increase. Nutrients that contribute to algae growth come from many sources, including agriculture, lawn fertilizers, wastewater treatment plants, sewer overflows, leaking septic systems, and precipitation. Could algal toxins shut down our water, too? A similar scenario is less likely here because this region draws nearly all of its drinking water from the aquifer rather than a river or lake. However, an overabundance of nutrients in our watershed (the land area that drains to the Great Miami River), can lead to the growth of algae in our rivers, streams, and lakes. 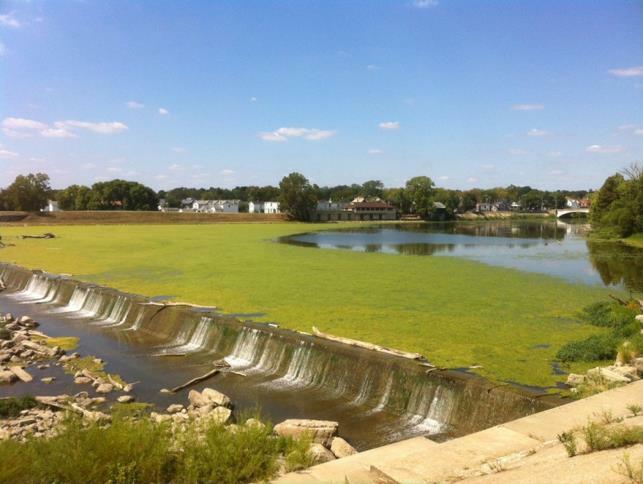 An algae bloom at Island Park Dam in Dayton during the summer of 2012. An algal bloom is an abundant or excessive growth of algae. Some algal blooms do not produce toxins, but can still cause problems for aquatic life such as changes in fish population including death, and nuisance problems such as thick mats of algae that reduce access to water for recreation. Algal blooms are not the only problem in our water. About 40 percent of the rivers and streams in our watershed fail to meet Ohio water quality standards. Excess nutrients are a main cause. And those same nutrients negatively impact water that flows downstream to the Ohio River all the way to the Gulf of Mexico. 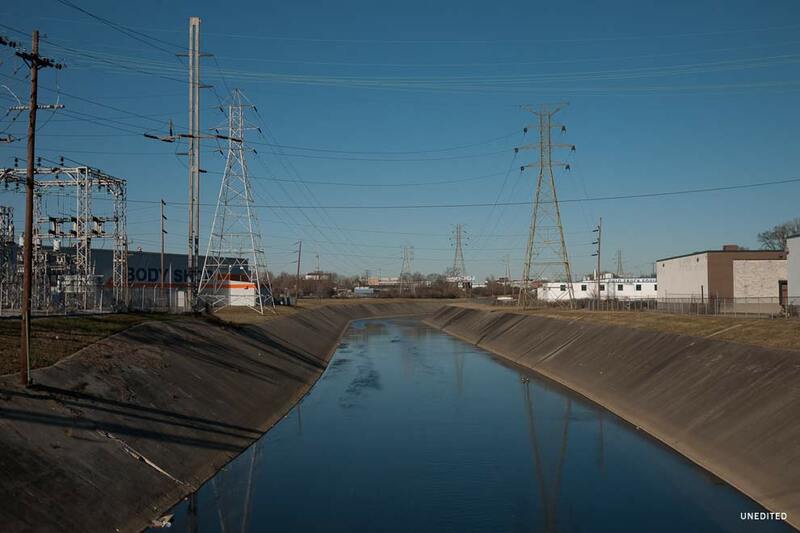 How do we know what’s in our waterways? 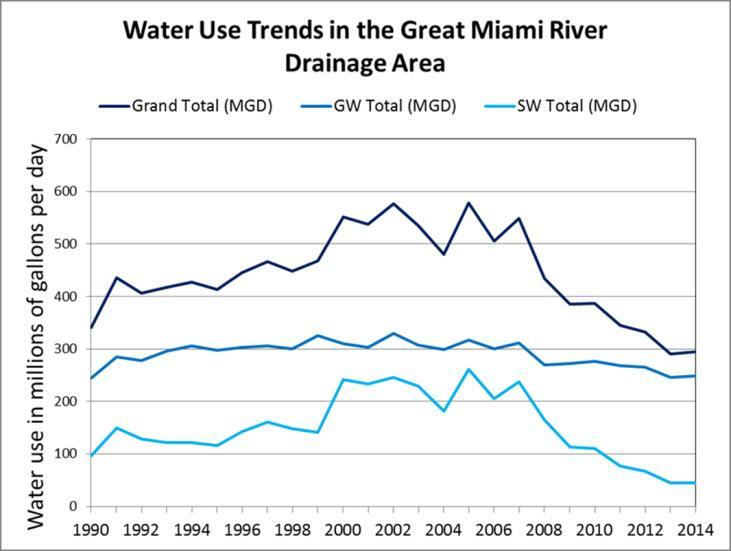 The Miami Conservancy District has regularly collected data from our rivers on the levels of nutrients since 2004. The data tells us that the levels of both nitrogen and phosphorus are too high at certain times of the year. The levels change with rainfall and other seasonal conditions. Because it is also possible that toxin-producing algae grow in our watershed, the Miami Conservancy District tested for toxins in algal blooms in the Great Miami River in 2012 and 2014. So far, no toxins were detected. Because more than 70 percent of the land in the Great Miami River Watershed is used for agriculture, the majority of nutrient-related water runoff relates to farmland use. 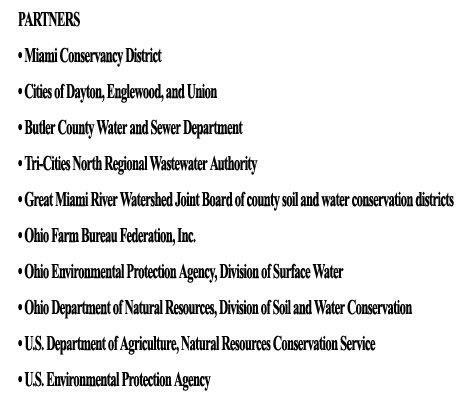 The Miami Conservancy District has partnered with federal, state, and local partners to create a program, called the Great Miami River Watershed Water Quality Credit Trading Program, that reduces polluted runoff from farmland. Farmers are paid to reduce nutrients from flowing into rivers and streams.